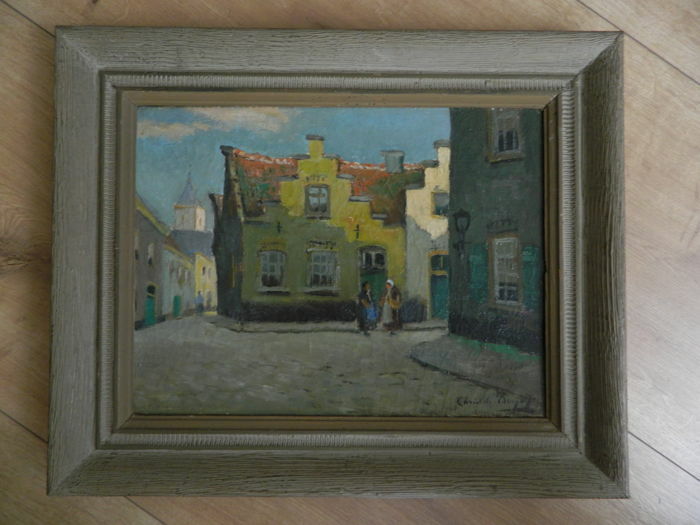 Chris de Bruijn jr. (1901-1974). 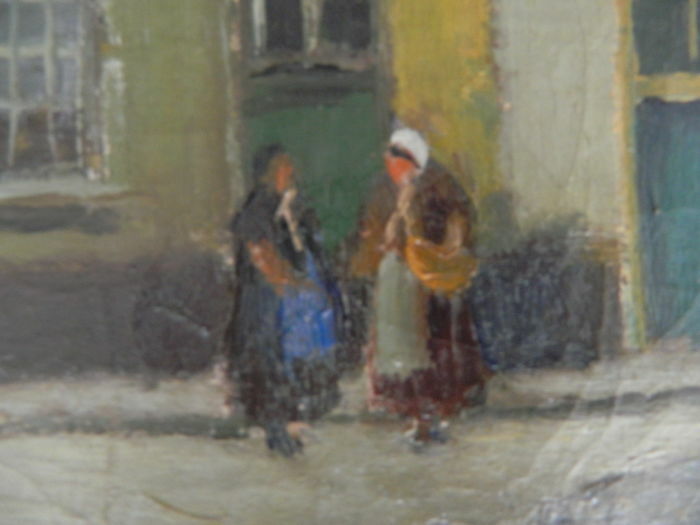 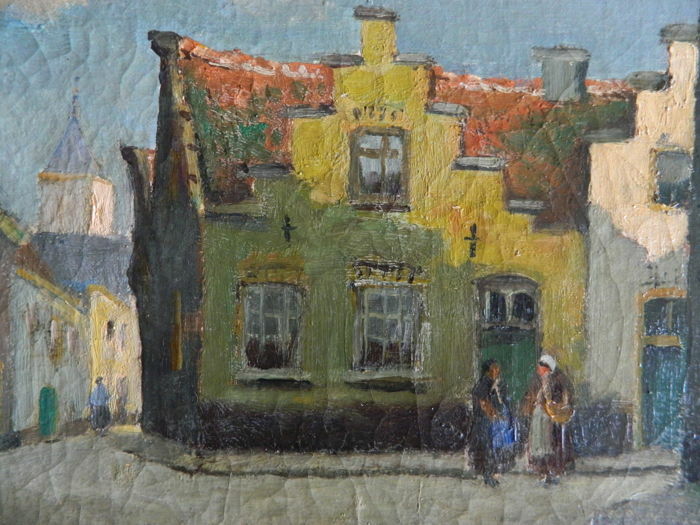 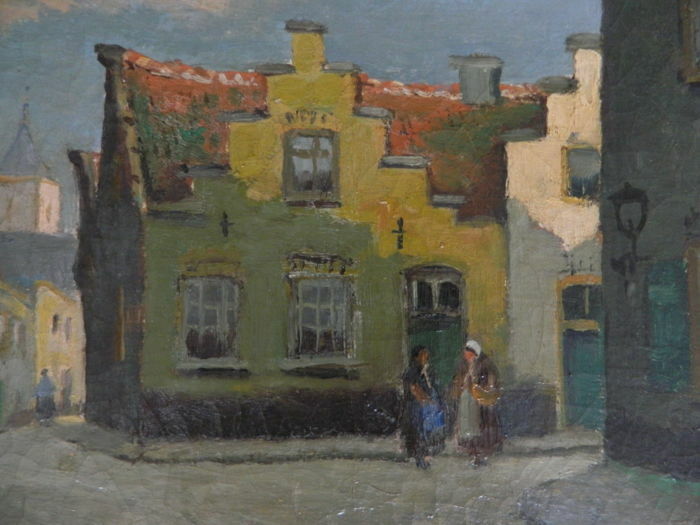 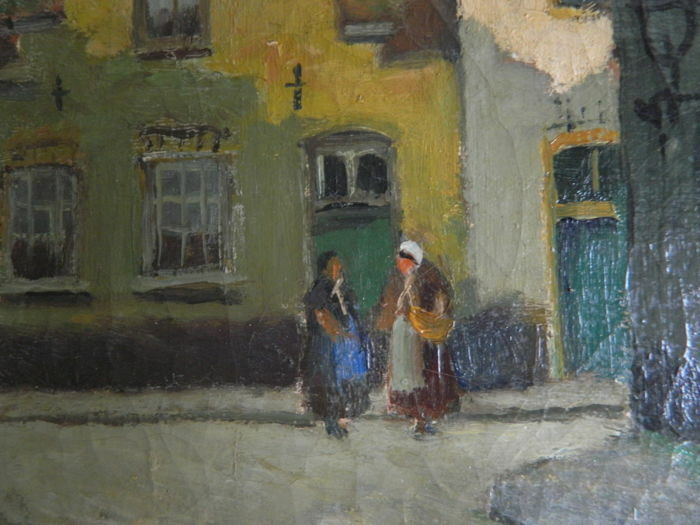 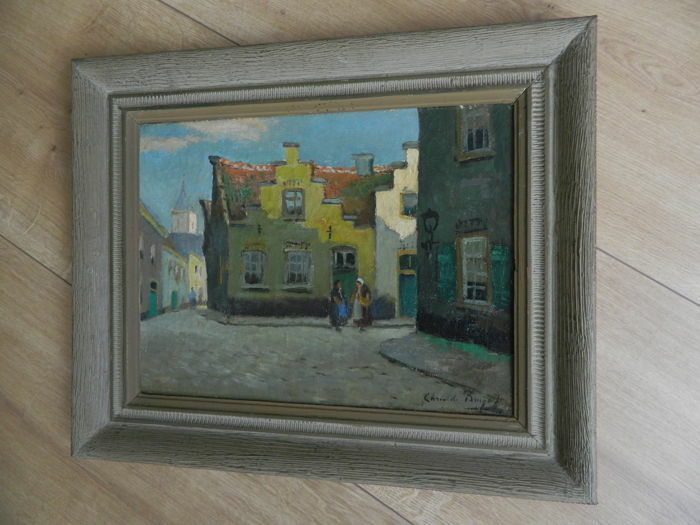 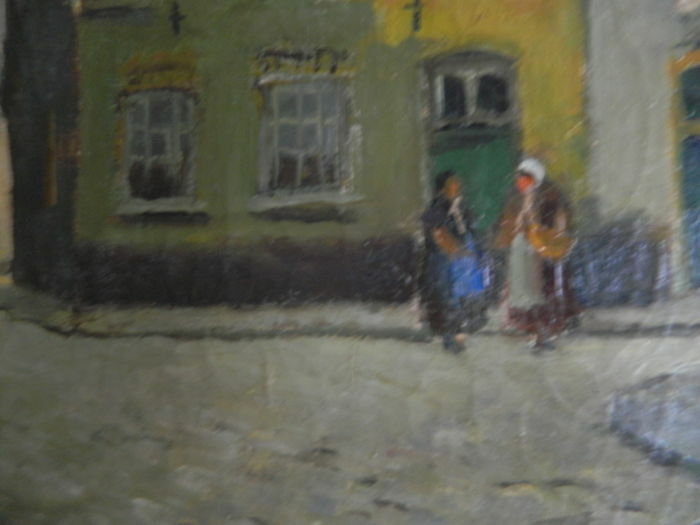 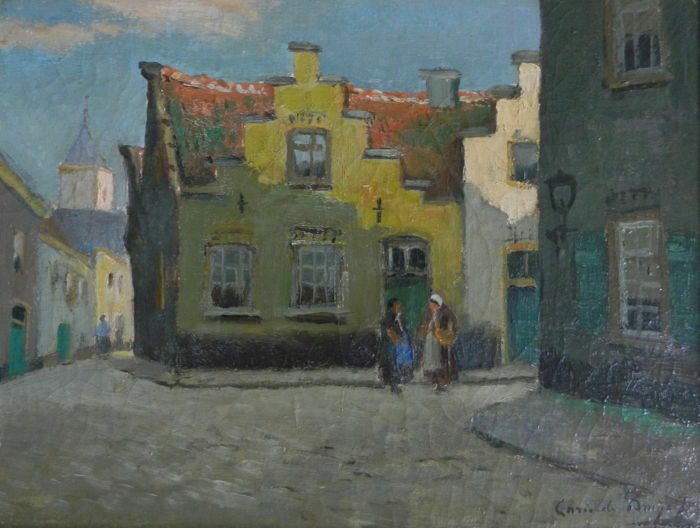 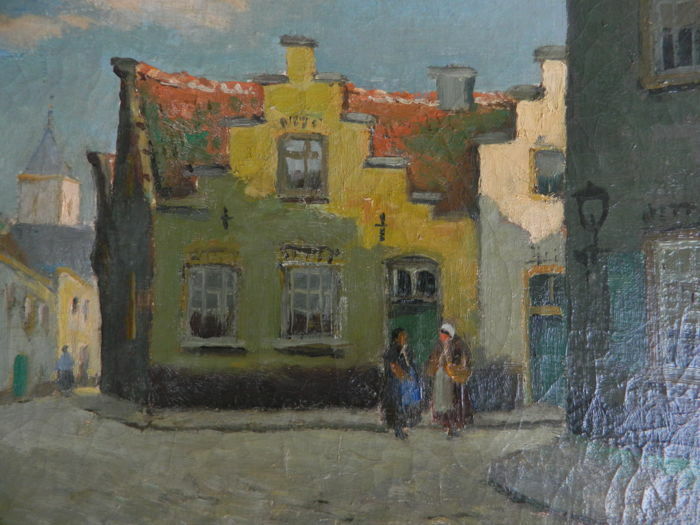 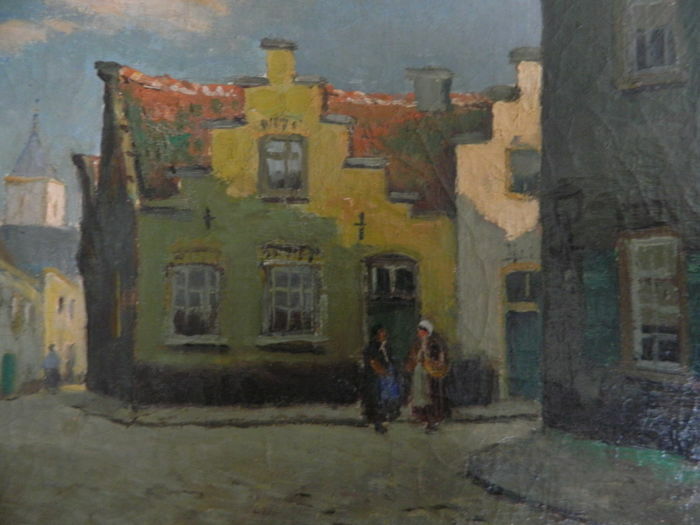 Village scene with women. 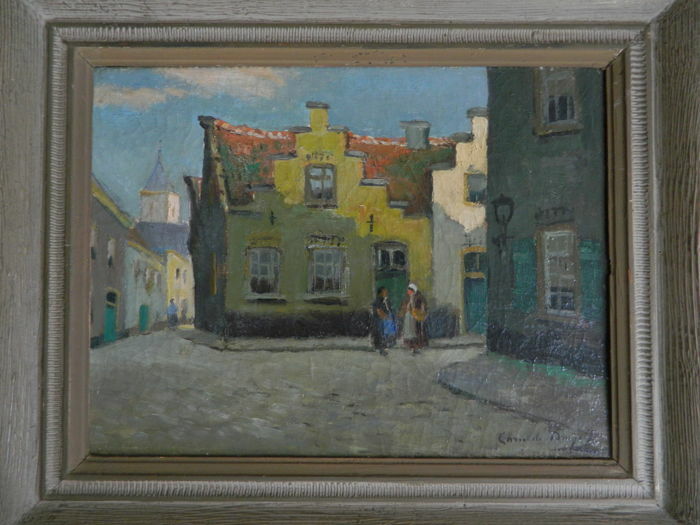 Signed in the bottom right. 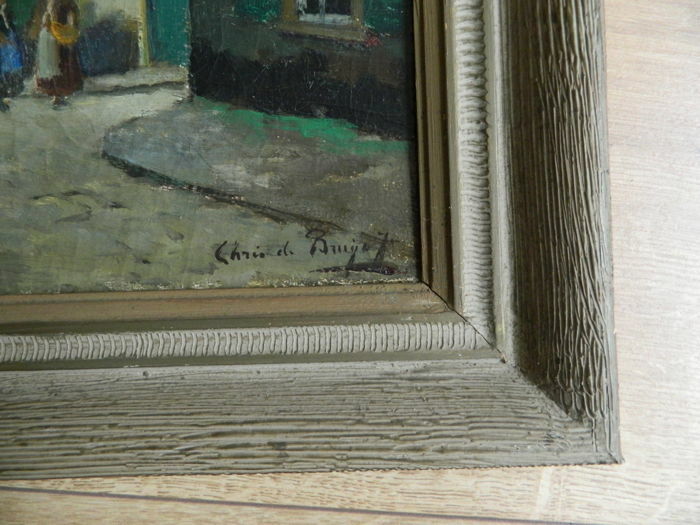 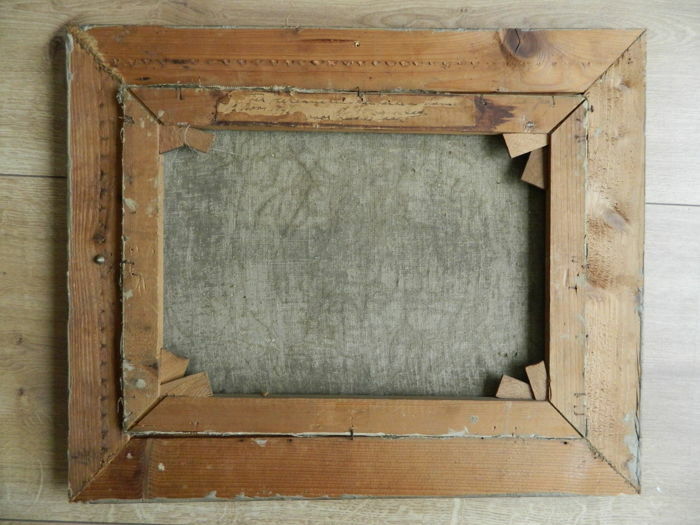 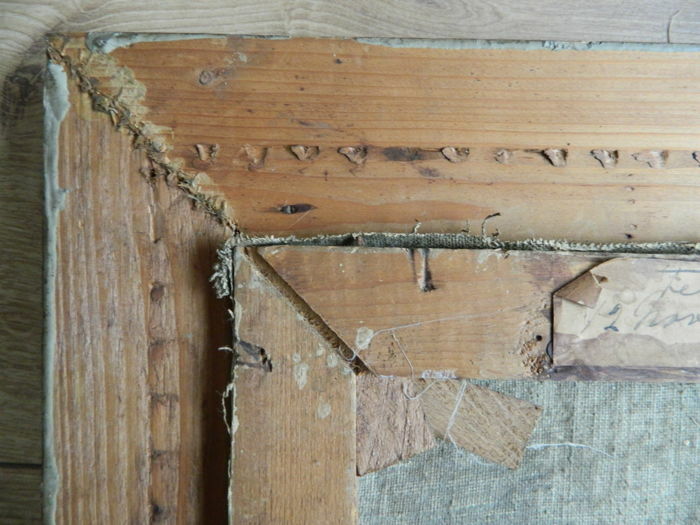 The painting has some craquelure. 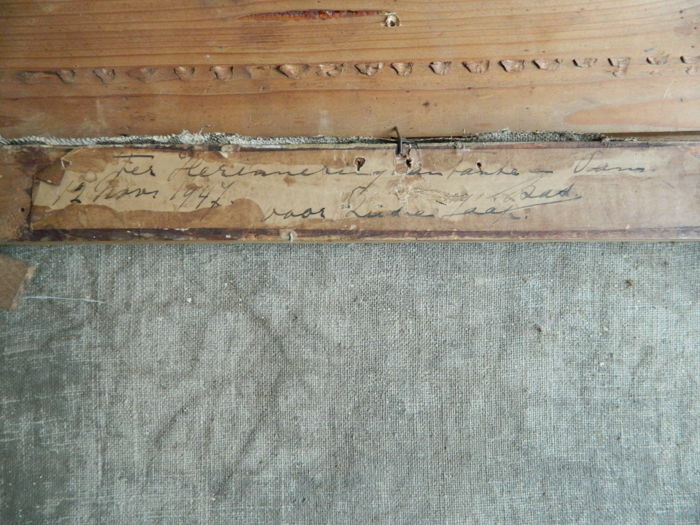 With unclear writing from 1947 on the back side. 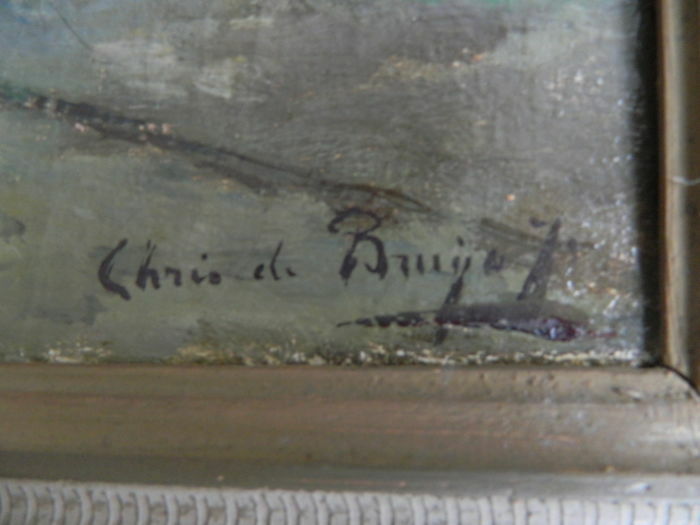 Chris de Bruijn jr. was self-taught. 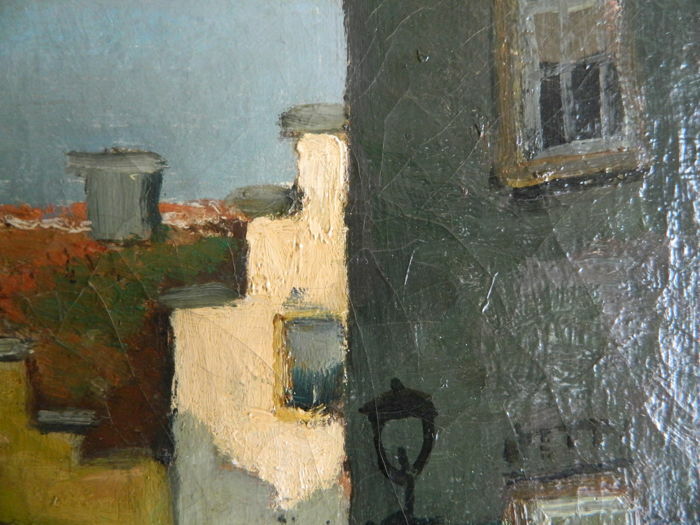 He painted cityscapes, landscapes, seascapes and flower still lifes in an impressionist style. 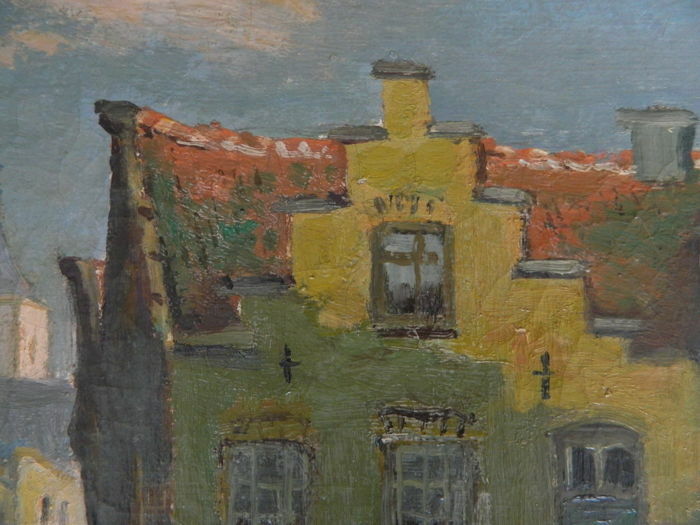 His early landscapes and farmyards are blond and sunny by colour scheme. 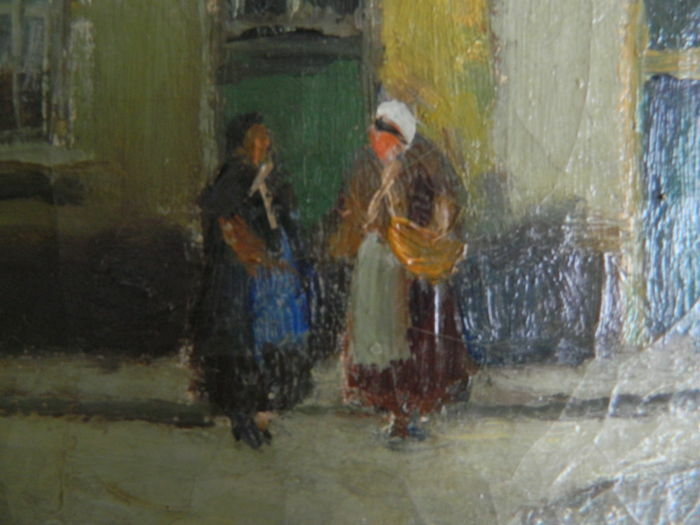 Striking are the fluffy brush strokes of his backgrounds. 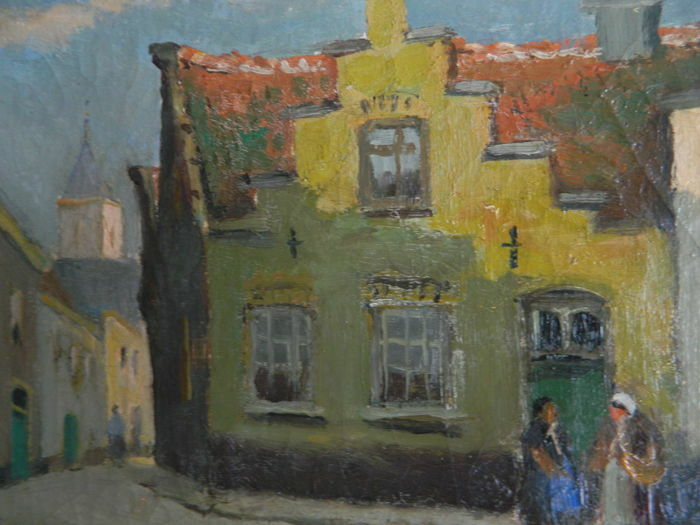 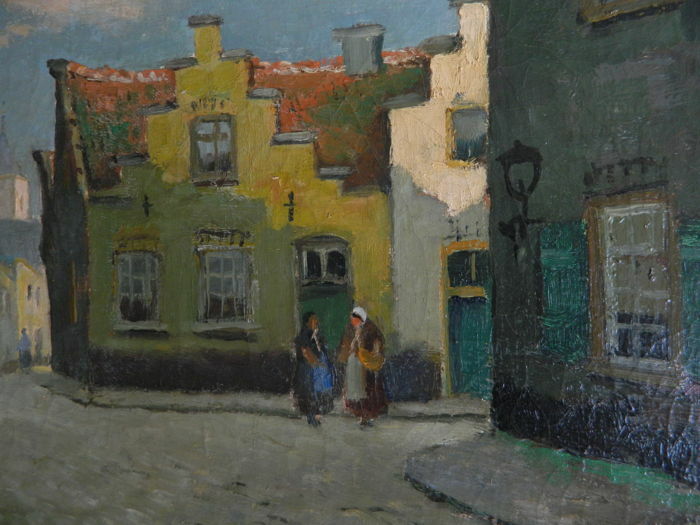 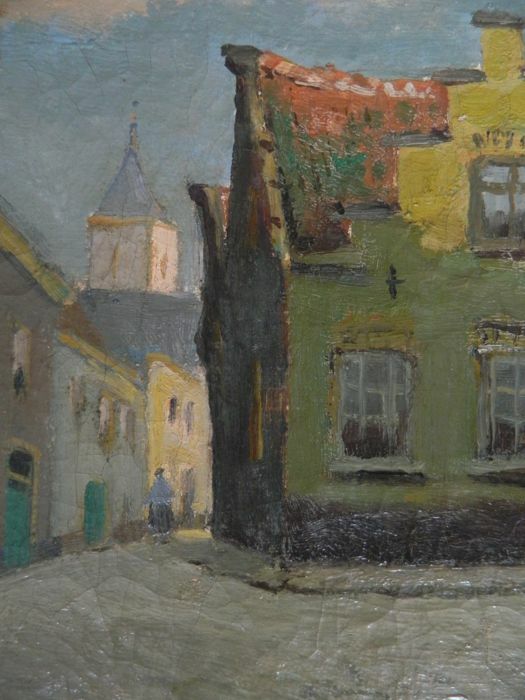 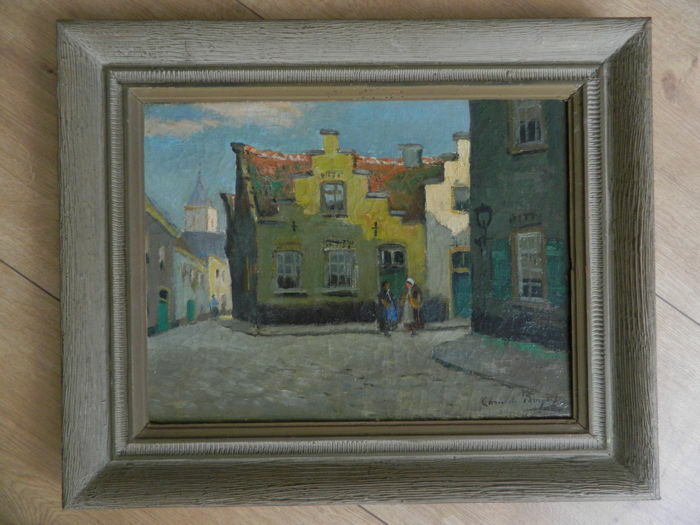 His later work, with mostly cityscapes are more moody and seem inspired by the Amsterdam impressionists.